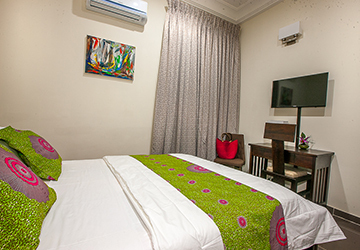 We have named a room after Ile-Ife to honour another aspect of Africa’s civilization. Ile-Ife, which literally means “place of dispersion”, is an old Yoruba city presently located in South Western Nigeria. The city conjures artistic creativity and is renowned for its naturalistic bronze, stone and terracotta sculptures. It is a city that commemorates the art of living through creative imagery and anchors our lust for life through the medium of art.